Your reservation is a phone call away. Please contact our Concierge to assist you. We accept Visa, MasterCard, American Express, Bank Transfers and Paypal to reserve your space. We require 48-hours notice for cancellation or schedule changes. 2. How far in advance should I make my reservation? We recommend calling at least 1-2 weeks in advance; weekends, holidays and the months of December, January, August, September and October are generally the busiest. However, we can usually accommodate a limited number of last minute reservations, so don't hesitate to give us a call even if it is the day before. FULL REFUND is given for flights cancelled due to inclement weather and we will make every effort to reschedule you if your schedule allows. Cancellations by the passengers must be made within 48 hours of your flight date for a full refund of your deposit. No-shows or cancellations with less than 48 hours notice will be charged 100% of the confirmed fare. 4. What should we wear and bring? Your camera! We highly recommend a light hat or ball cap. Wear casual clothing, preferably in layers so that you can adjust to the warming temperatures as the morning progresses. Ladies are most comfortable in trousers, because of the need to climb in and out of the basket. Flat-heeled, closed-toe shoes recommended. Sun glasses or binoculars are optional. 5. Where do we fly and what do we see? On most days, we launch up-wind from the historic surroundings of San Miguel de Allende - a quaint colonial village in the heart of Mexico. As we rise above the valley floor, panoramic views open up to San Miguel de Allende skyline. To the east the majestic mountain called "Los Picachos", to the south, the magnificent lake of San Miguel de Allende. With favorable winds aloft the balloons can climb to higher altitudes where we may catch a glimpse of the Mexico's Bajio central valley, skyline and even the majestic mines of the Sierras of Guanajuato to the east. 6. Why do you fly so early? San Miguel hot air balloon rides (and pretty much all of Central Mexico) are always an early morning sport. The typical morning conditions are calm surface winds, stable air currents and cool temperatures. We launch just after dawn when the winds are at their calmest, we hope that the lovely light of the early morning and the special sounds that can only be heard before the rest of the world is awake make it worth it for our passengers to join us on this early morning adventure. 7. Is Commercial Ballooning Regulated? Yes. Our pilots are all DGAC certified (Mexico's equivalent to the USA-FAA) and our equipment is inspected regularly at DGAC designated repair stations. Our insurance meets the requirements of the Mexican DGAC required by law. 8. How high will we fly and how long will we fly? The altitude will vary during the flight and depends on the wind conditions that day, average maximum altitudes are between 1,000 and 3,000 feet above the ground. We use the wind to steer the balloon laterally. So the altitude of the flight depends entirely on the wind directions of the day. Some of the flight may be at treetop level, typically you get a nice variety of altitudes throughout the flight. The pilots are skilled at providing you a wonderful experience. Flights typically last about one hour, but may last from 45 minutes to one hour and a half. Pilots must take into account the wind speed, direction, and the availability of landing sites. Each flight is unique. 9. How does weather influence ballooning? 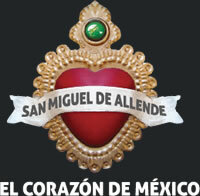 We are blessed in the San Miguel de Allende with nearly perfect conditions for hot air ballooning most of the year. Those conditions are calm surface winds, stable air currents and cool temperatures. Each year, on average, we are able to fly about 300 days. When you receive your confirmation of balloon flight, we will keep you advised with a current weather briefing if the climate is questionable. If we do have to cancel due to bad weather, there is of course no charge to you and we will make every feasible effort to reschedule you if you will be in the area for additional days. 10. How long does the whole experience last? Because there are so many variables in ballooning, we can only give you an estimate of how long to plan on spending with us. Generally, not counting any shuttle service we provide from your lodging, you should count on being with us for about 3-and-a-half to 4 hours. 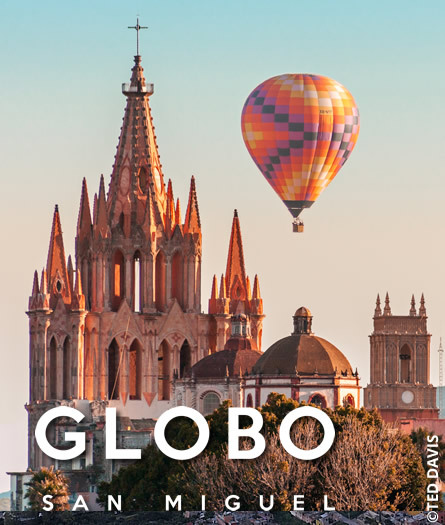 This includes check-in, balloon inflation, the flight, landing, pack-up, transportation back from the landing site, and a leisurely sit-down breakfast served in a restaurant setting in downtown San Miguel de Allende. We hope that our passengers will be able to set aside enough time to fully enjoy the magnificent experience of ballooning without feeling rushed. It’s safe to say that a typical morning of ballooning you will be finished with the flight by 9:00 and breakfast by 10:00. 11. Is ballooning appropriate for everyone? Ballooning is a fun activity for people of almost any age. There are some individuals for whom ballooning may not be appropriate. Infants, very young children (under the age of 5) who are not tall enough to see over the side of the basket, pregnant women, individuals who have done a recent deep scuba dive, and people suffering from chronic pain or have had recent major surgery. If you have a medical condition which could cause discomfort or be aggravated during the flight, or have been advised to restrict your activity because of a medical condition, please consult your physician in advance. Passengers stand during the hour-long flight, and may need to walk a distance from the balloons to the chase shuttles, sometimes over uneven ground. The balloons do not have doors, and a certain amount of flexibility and upper body strength are desirable for getting in and out of them. Ballooning is best appreciated by those who have a sense of adventure. For more information, see our Passenger Information Sheet, which is provided with your confirmation materials. If you're still not sure about something regarding Globo San Miguel, contact us with the following button.